AirPlay is a wireless streaming feature on your iPhone, iPad , iPod, Mac or PC computer with iTunes, allowing you to stream videos, audios, music, and photo and mirror your display from any of these device to Apple TV or to any compatible speakers, including those connected to an AirPort Express router. To put it simpler, if you accidentally come across a hilarious video and want to share them with your families on a higher-resolution Apple TV, what will you do? This is actually when AirPlay can help you. That is, just airplay videos from iPad to Apple TV and enjoy your fabulous visual experience. Now, let’s see how to do it! Note: Before starting the mirroring, make sure that Wifi is available and stable. Or else the process will get stuck from time to time, and even fail to work. Step 1. Make sure your iPad and Apple TV are connected to the same Wifi network. Then turn on your TV and Apple TV unit. 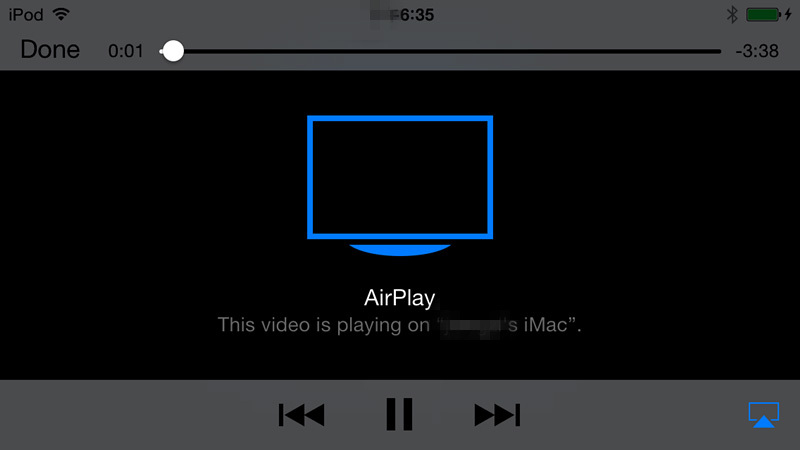 After that, turn on the AirPlay feature. Step 2. Now swipe up from the bottom of your iPad’s screen and then open Control Center. Step 3. Tap AirPlay Mirroring option in the Control Center tab and then select Apple TV as the device that you want to airplay file from iPad to. Step 4. 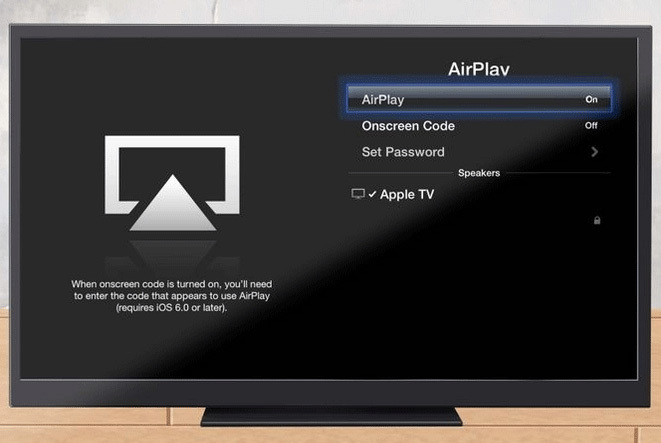 Now, if an AirPlay code appears on your TV screen, enter it on your iPad. Till now, just play the wanted files on your iPad and it will be mirrored on the screen of Apple TV. With a professional streaming player, you can also easily mirror files from iPad to Apple TV. In the mobile market, 5K Player and VLC Media Player are of the most-popular list. Now, just get to know more details about these two streaming players and learn how to use them to mirror iPad to Apple TV or to other devices. Step 1. Make sure your iPad and Apple TV are connected to the same Wifi and make sure to download the latest version of this VLC program on your iPad device. Then open it. Step 2. Now navigate to the file that you want to airplay from iPad to Apple TV, and hit the Open File option to load it to the main interface of this VLC Media Player. Step 3. Swipe from the bottom of your iPad and hit the Apple TV shaped icon to set it as the device that you want to airplay file from iPad to. Step 4. Now, go to the Audio tab and click on Audio Device and then AirPlay option to begin. 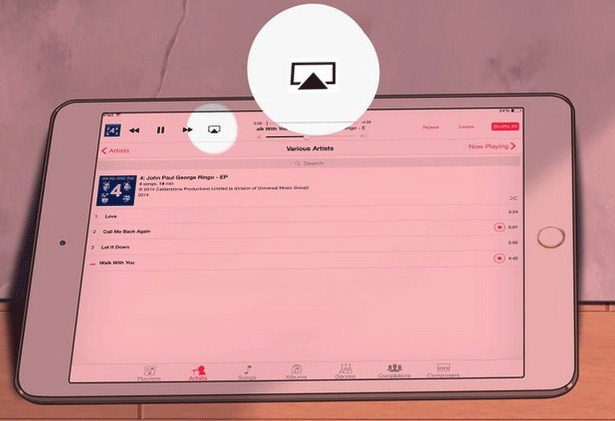 As the file is player on your iPad, it will be mirrored on your Apple TV. 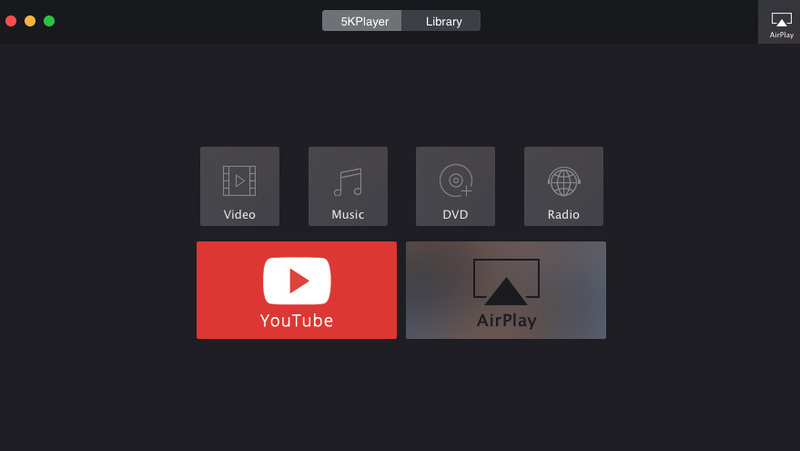 5K Player is another free media streaming player, incorporating Apple’s AirPlay feature. It enables users to stream videos, movies, photos, music from iPad or iPhone to Mac/PC of a bigger screen for a better visual experience. Also, you can airplay files from PC/Mac computer to Apple TV if you want. - Download the right version of this software on your computer and then go to Control Center on the iPad’s screen and click on the AirPlay feature. 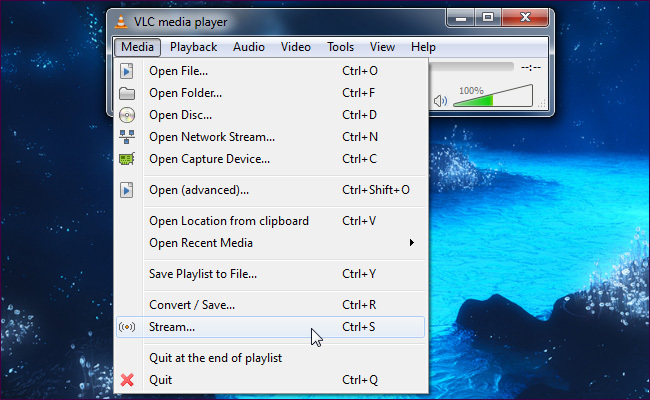 - Now you will see a list of AirPlay receiver options and tap on the name of your computer. - Then, play your wanted files on your iPad and then the file start to be mirrored on the computer of a bigger screen as needed. And if you want to airplay files from computer to Apple TV, just follow the similar steps to do it. 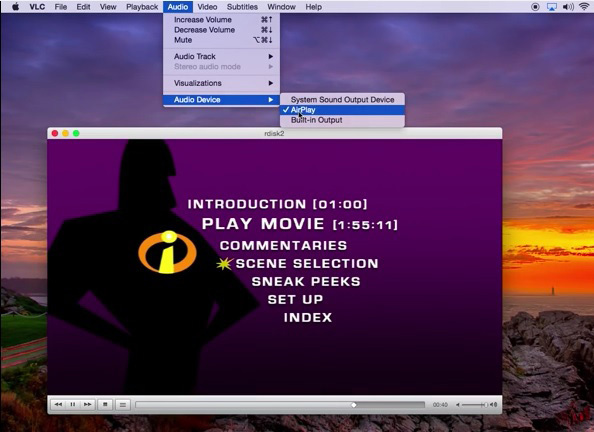 If you simply want to play videos, movies or other media files on a bigger screen of higher resolution, you can just play them on your PC/Mac computer. After all, an Apple TV costs much more than a computer and not everyone has an Apple TV at home. Here, this FREE Leawo Blu-ray Player is exactly the perfect media player for your computer. Although the AirPlay feature is not available yet at present, this is an all-in-one yet FREE media player, allowing you to have a wonderful movie and video experience on your computer! This handy assistant is fully compatible with all common and uncommon video/audio formats including FLAC, WMV, MP4, AVI, FLV, MKV, M4V, MP3, AAC, and so on. Also, it is able to play Blu-ray discs/folders/ISO files on PC/Mac without any hassle. So if you are looking forward to a nice visual experience, just get this FREE Leawo Blu-ray Player and play media files on your PC or Mac computer at ease!